Posted 9:46 pm by Serata Italiana & filed under Latest News. 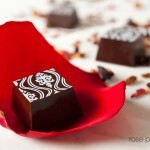 COSTA MESA, CA – June 5, 2013 – Lamborghini Club America is excited to announce Michelle haut Chocolat as an official sponsor of Serata Italiana “Ignite Your Senses” Lamborghini gala held Saturday, August 17, 2013. 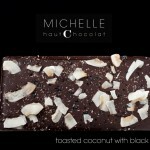 Michelle haut Chocolat chocolates are handmade from scratch daily using all natural ingredients in their Laguna Beach Chocolate Kitchen & Tasting Room. 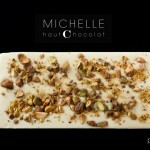 Michelle haut Chocolat chocolate is a custom blended 73% bittersweet chocolate from Belgium. Be prepared to have your taste-buds tantalized by the freshest and purest ingredients from around the world as they do not use any artificial ingredients, additives, or preservatives. 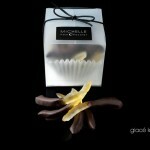 Michelle is a graduate of the International Culinary School-Art Institute, a certified member of the International Association of Culinary Professionals (IACP), and Fine Chocolate Industry Association (FCIA). 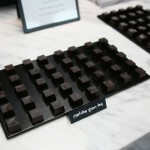 Her vision is to create chocolates with a modern edge while still using the traditional european methods of artisanal hand craftsmanship. 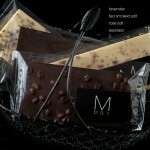 Michelle fuses art, music, fashion, literature, fine design, and pure passion into each chocolate creation. 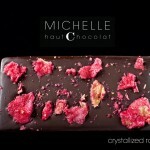 For more information visit www.MichelleHautChocolat.com.